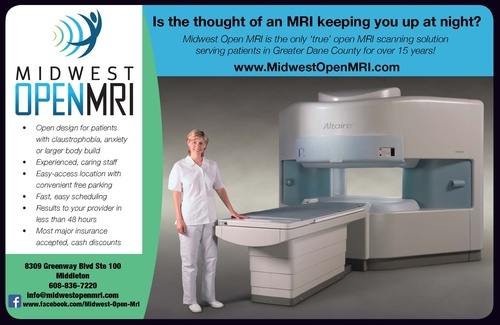 Dane County's only true 'open' MRI scan center in Middleton, independently owned and operated since 1999. We are the perfect solution for claustrophobic and/or large body frames. We provide prompt scheduling, results within 48 hours, and easy location access and free parking. Most major insurances accepted, as well as a cash discount. Is the thought of an MRI keeping you up at night?? 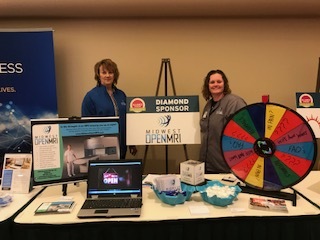 Midwest Open MRI in Middleton is the clear choice. Simply ask your physician for a referral today!! Exit Greenway Blvd off the Beltline (Exit 252), head west, turn left onto John Q Hammons Dr. and use the first driveway on the right for access to the parking lot.